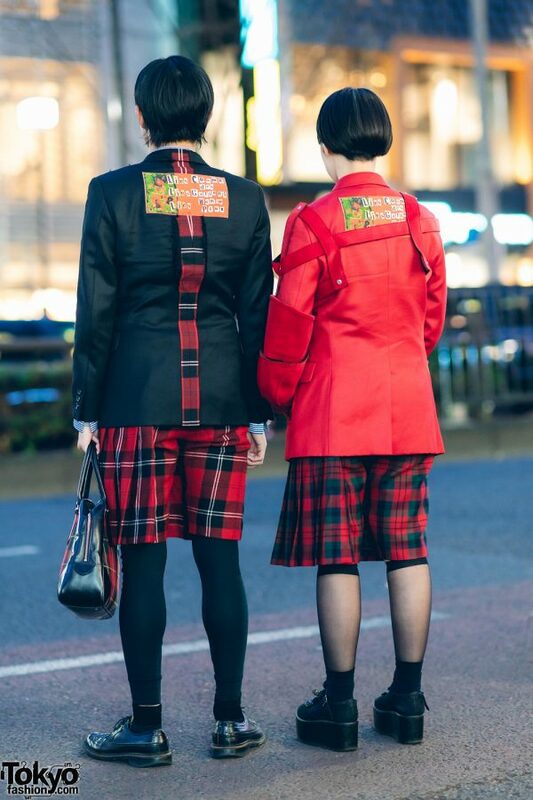 Catching our attention on the Harajuku street one early evening are Yoshiaki and Satoko with their bold red-and-black Comme des Garcons streetwear styles from the 2008 “Time For Magic” collection with artwork by Jamie Reid. 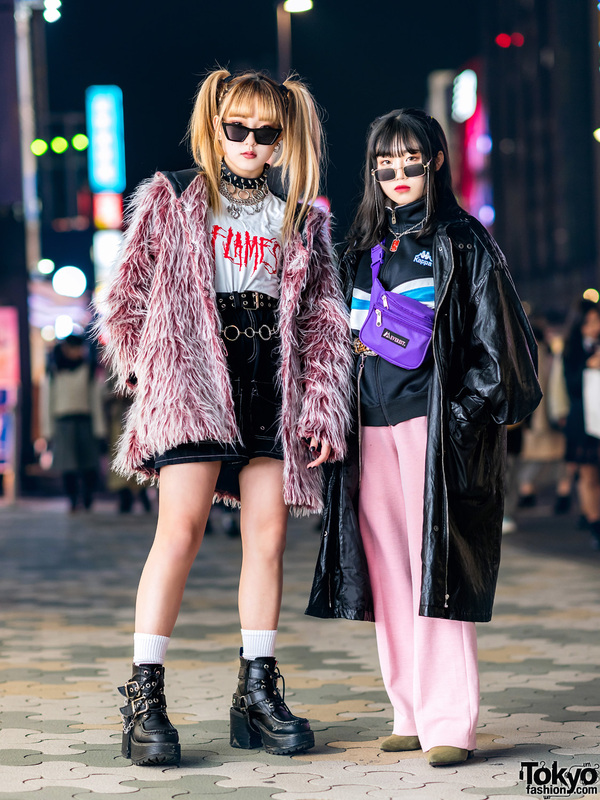 At the left is Yoshiaki. 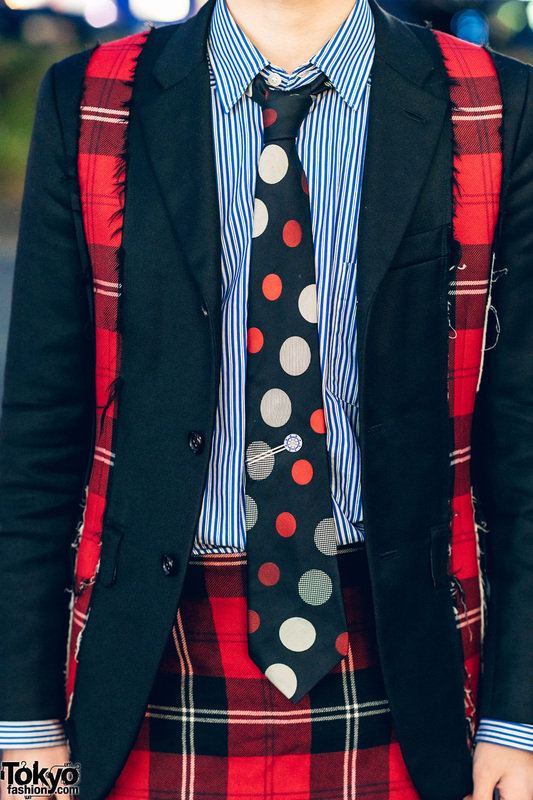 He is dressed in a black Comme des Garcon Homme Plus blazer, which features distressed hems and vertical plaid strips at the front and back. He wore the blazer over a blue-and-white pinstripe shirt from Comme des Garcons, and styled with a polka dot necktie from Comme des Garcons Homme Plus. 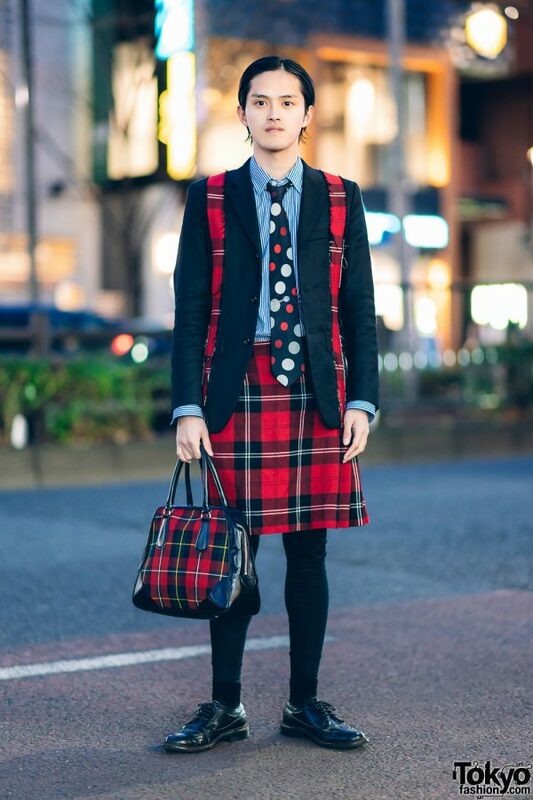 A red plaid skirt – also from Comme des Garcons Homme Plus – over black tights, black socks, black leather wingtip shoes from Regal, and a plaid satchel bag from Comme des Garcons completed his ensemble. 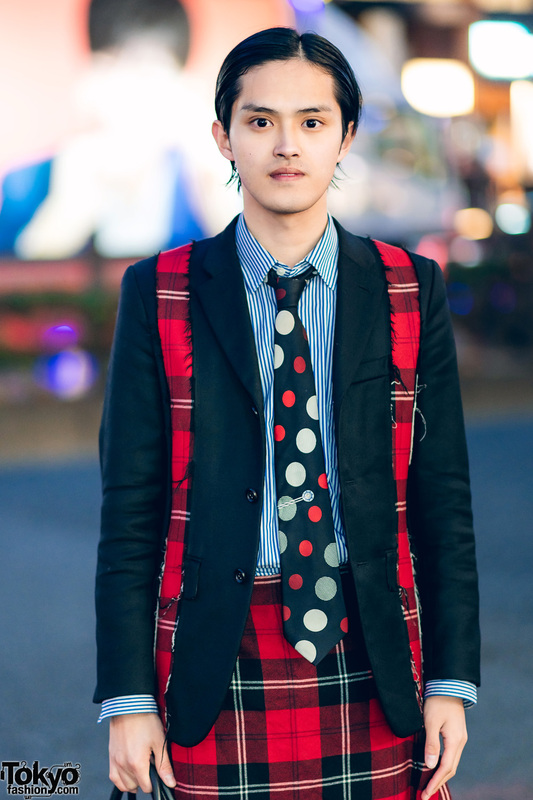 Yoshiaki loves to shop at Comme des Garcons, and he is active on Twitter and Instagram. 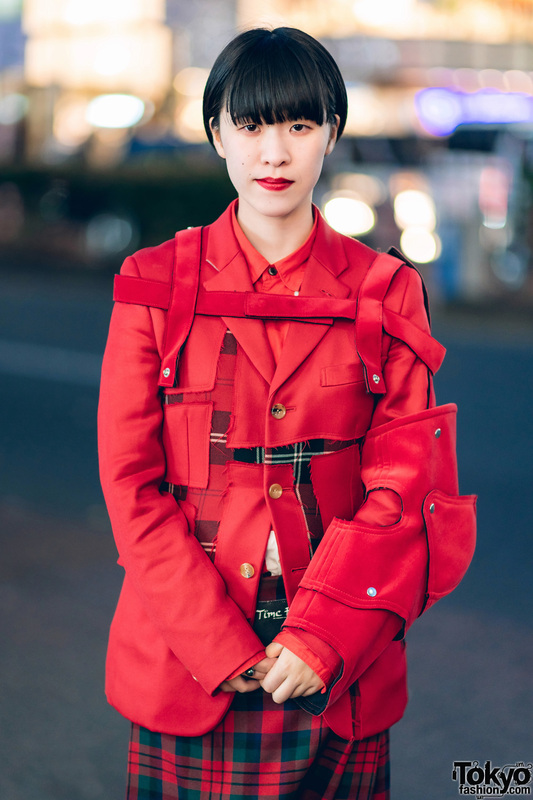 Meanwhile, Satoko stepped out in a red cutout blazer from Comme des Garcons Homme Plus, featuring distressed detailings, plaid strips, a red chest harness, and a cutout sleeve accent. 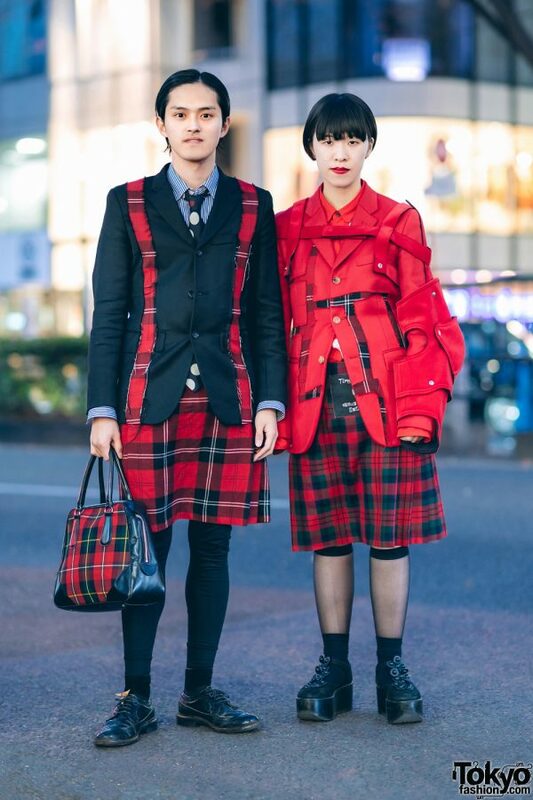 A red button down shirt, and a pleated plaid skirt – both also from Comme des Garcons Homme Plus – completed her outfit. 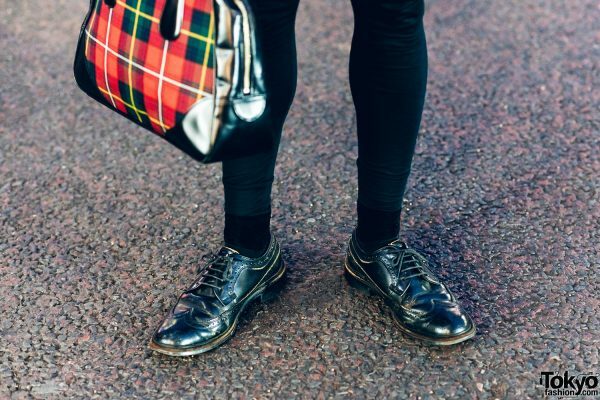 Sheer black knee socks over black ankle socks, black t-strap platform shoes from Tokyo Bopper, and a bold red lipstick are the finishing touches to her style. 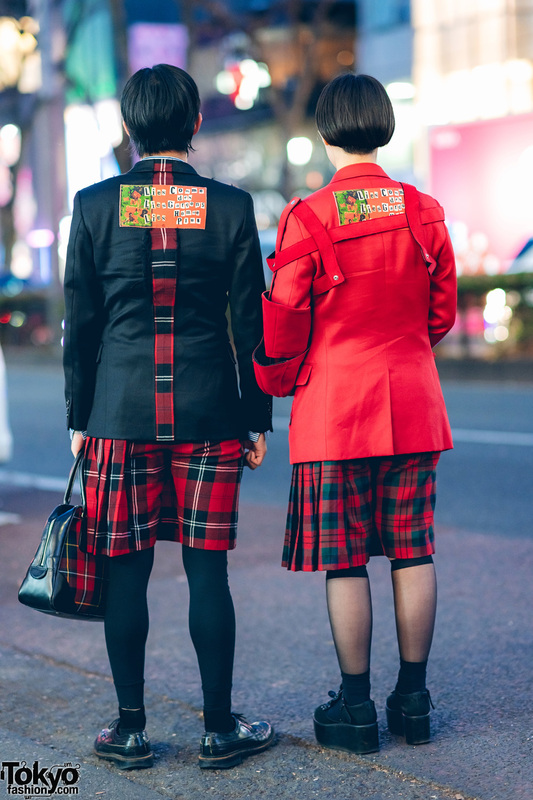 Tokyo Bopper is Satoko’s fashion favorite, and she loves the music of Japanese pop rock singer, Kaela Kimura. 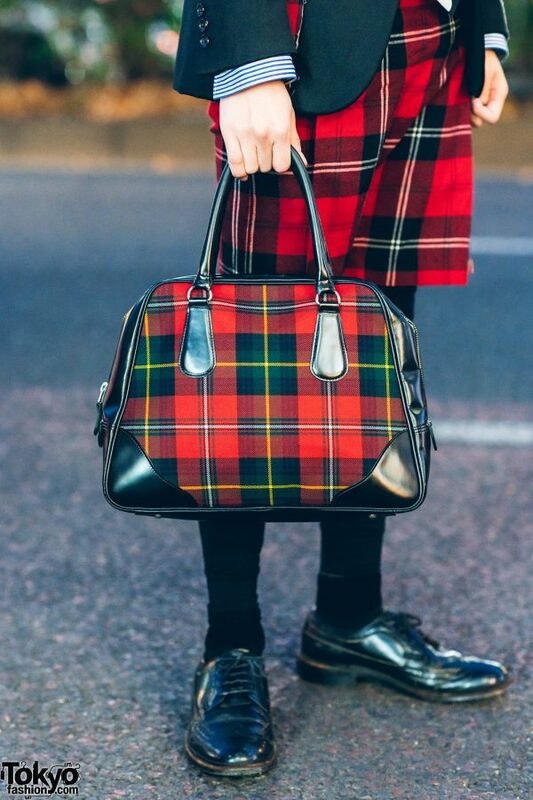 Satoko is also active on Instagram and Twitter.